The quotations of the AUDCAD currency pair are moving in an upward trend, as evidenced by the lows and highs, which on the daily chart are at ever higher levels. As you can see below, this week the price has reached the level of 61.8% of the total upward movement initiated at the level of 0.9315. The abolition of 61.8% falls around 0.9409 and was a “line on sand” for buyers. The Outside Bar which was created yesterday above this level gives a chance to continue the growth movement. Moreover, the support nearly 0.9409 was important for one more reason. 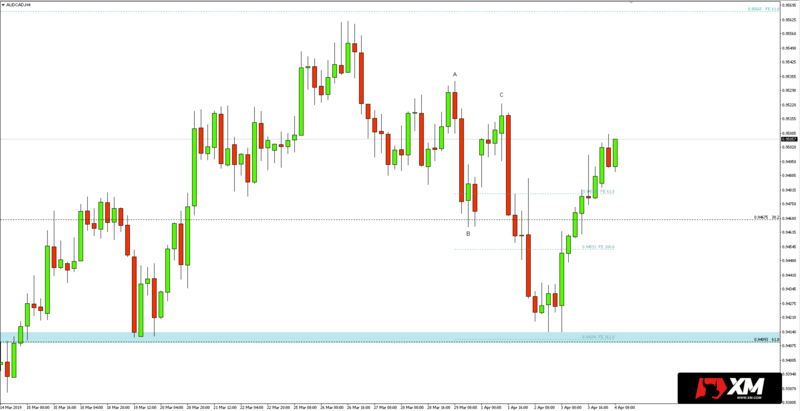 As can be seen in the 4-hour chart below, this is the expansion of 161.8% of ABC downward move. Therefore, it could be expected that with the abolition, the area would be a strong support. What scenario can traders adopt now? From the perspective of the 4-hour chart it is possible to expect the current upward momentum to the level of 38.2% and look for buying opportunities there. The target for possible long positions will then result from the expansion (range) of Fibonacci. 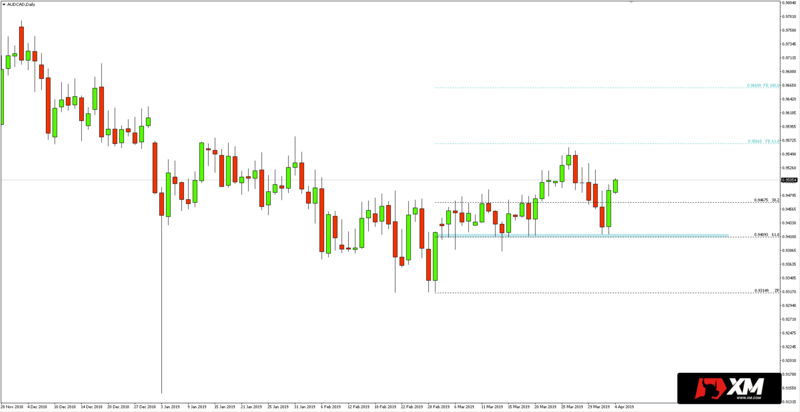 It is worth taking into account the key resistance zone of nearly 0.9560/67.